My favorite kitchen tool USED to be the Vidalia Chopper but now I think it’s the Ninja my dad bought us for Hanukkah. That thing is freaking amazing. I am getting the advice of my 11-year-old son here. He says his favorite kitchen tool is the spatula. He says he likes using it because otherwise he’d have to use his hands. My Kitchen aid mixer of course but I also love the mini chopper as a close second !!! My Kitchen Aid mixer is by far my fav!! It was a Christmas gift to myself….. I have the best silicone tube that you put a clove of garlic in and roll on a flat surface- removes all the garlic skinss- and I put a lot of cloves in at a time. I use a lot of garlic and this handy tool makes peeling sso quick and easy! LOVE my KitchenAid mixer but that is not quite a tool… more like a machine! Mixing dough for hallah is so so much better than mixing it in a cuisinart. So if I have to think of a ‘tool’ I would say my red circle pizza cutter, it is sharp, safe for the kids and can be taken apart for washing too. I like buying tools in colors lately so everyone can SEE them in the tool/gadget drawer. I love my heat resistant spatulas. i’m not sure what consitutes as “favorite” in terms of kithen tools but my vegetable peeler sure does get a great deal of use. I really love my one-touch can opener…..it’s so easy to use and tucks away in a drawer when not in use! Cookie scoop. Stand mixer is great, my gold touch baking sheets amazing, but this scoop has revolutionized my cookie making. It’s so easy now! I agree with a poster above, love heat resistant rubber spatulas for everything from cooking on the stove to baking. Definitely my KitchenAid stand mixer, hands down. There’s nothing it doesn’t do! I love my solid measuring cup! I swear I need another. Love my food processor, I don’t know how I got along for so many years without one! I love my French style chefs knifes, they are very versatile and have helped improve my knife skills considerably. I like my ready, set, express unit. I love my silicon spatula! By far my favorite kitchen tool is my Microplane zester. I own 5 in three different sizes! Alright, alright, I don’t have nearly as fancy kitchen stuff as y’all do, but I just got a nice, red kitchen scale on the cheap, which I’m really lovin’. I love my silicone rubber spatula, use it for everything! And I love my one touch opener too! My favorite kitchen tool is my Henckels paring knife. I have owned it for more than 20 years and I use it to cut just about everything in my kitchen. My favorite kitchen tool is my garlic press. I use it on a daily basis. I love my wisk. I use it all the time – from making a roux to making whipping cream to top apple pie. Perhaps with this tool, though, I wouldn’t use my wisk quite as much! My favorite kitchen tool is a classic: the spatula. its not really a tool, but I LOVE my chef’s knife. I recently moved countries and had to pack all of my belongings into 3 suitcases. I decided many of the things I used on a daily basis could be picked up cheaply at Ikea, but that knife HAD to come with me. Of course, I had to check it, and I was so nervous that it would have disappeared out of my suitcase by the time I arrived! But there it was, safe and sound. My favorite kitchen tool is my microplane grater; but because I have one of the early ones, there’s no handle; I need to update it! Here’s another kitchen tool favorite that is not immediately obviously: The sledge hammer. If you need to crush something in one shot, nothing beats a sledge. You just have to be careful because it’s a bit heavy, and you don’t want to use it on a surface that can be dented easily. my favorite kitchen tool is my food processor i love the all in one gadget!! 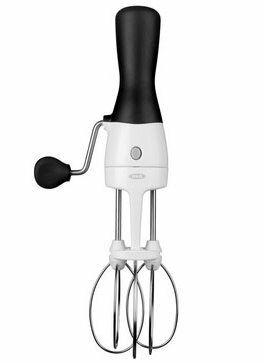 My favorite appliance that I’m desperately saving up for is the Kitchenaid Stand mixer! My favorite is actually my toaster oven – It toasts, it bakes, it broils! All without a lot of electricity and great taste! My blow torch. He bought me one for the kitchen for Valentine’s Day! That’s a man that knows what you want. I love my Kithchen Aid mixer. It is almost 30 years old and it’s always on the counter ready for action. The tool I use the most is the microwave. It’s great for steaming vegetables and melting butter! I don’t own a lot of kitchen tools, but I love my spatula and measuring cup! My pineapple slicer! I love it, all you do is twist and pull it out. Best invention ever!